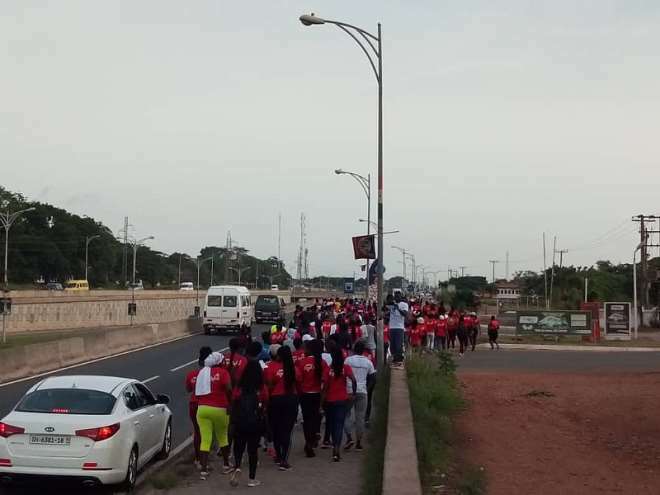 The Greater Accra Regional Chapter of the NPP Loyal Ladies, an all-female group within the ruling party has on April 6, 2019, organised ‘Health walk and Funfair’ to mark their 3 years anniversary. Formed in March 2016, the aim of the group is to groom women for both the party and the country. 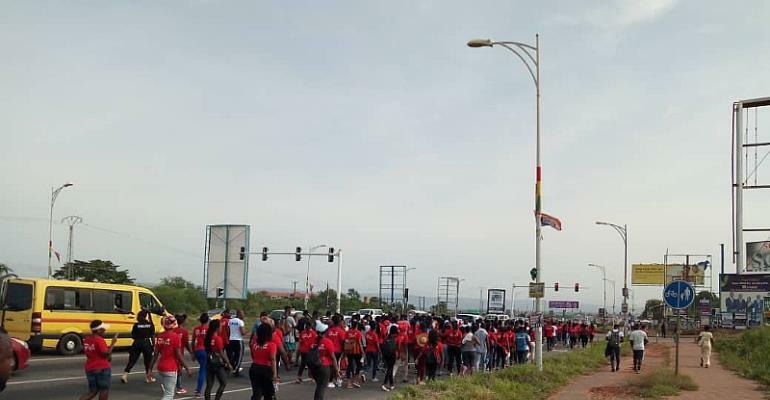 Since coming into existence, they have worked in sync with other groups within the New Patriotic Party (NPP) to ensure the aims of the party is always championed. 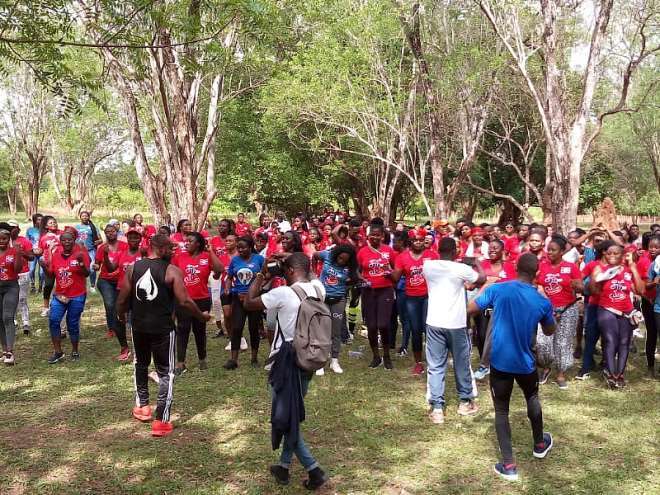 To commemorate the big day, the vibrant volunteer group, under the Youth Wing of the NPP came together with support from notable members of the party to energise their base and develop strategies ahead of the 2020 elections. 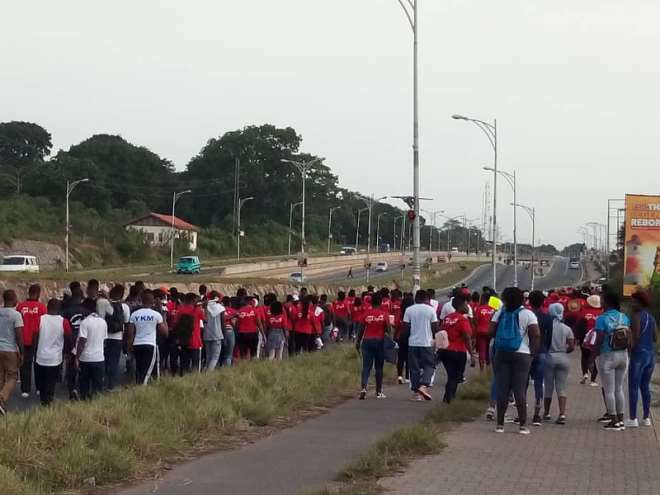 They started the walk from Okponglo around 7:00am before finally converging at the Legon Botanical gardens. 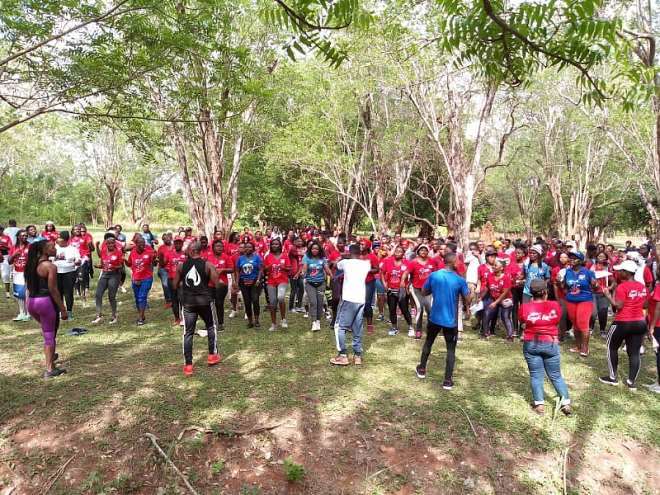 Upon arrival, all the women together with some men who were present to support their party members were taken through some aerobic section to boost their fitness. Speaking to Modernghana on the sidelines of the event, Vice President of the NPP Loyal Ladies in charge of Public Relations, Miss Adwoa Pomaa Sanwu stressed that they are celebrating what they group has achieve over the 3years. According to her, besides helping the NPP to win power in 2016, they have also been able to groom women who have now been appointed into higher positions in their line of work. “We are celebrating our 3rd year in existence as a group. We were formed in March 2016 to canvas votes for the NPP and as you all know we were able to achieve that. “But that is not the core mandate of the group. We want to serve as an incubator to groom women for the party and for the country. And so so far we have had a lot of our members appointed into positions for which we are grateful for. Basically, that is what we are celebrating today as a group”, the Vice President said. She continued, “We have decentralized the celebration so this is just for the Greater Accra Region. We have had other Regions also celebrate. There are other also coming up in the process and so that’s just about it”. The event was climaxed with some music and dance to ease tiredness and stress as they took advantage of the occasion to also catch up with old pals.